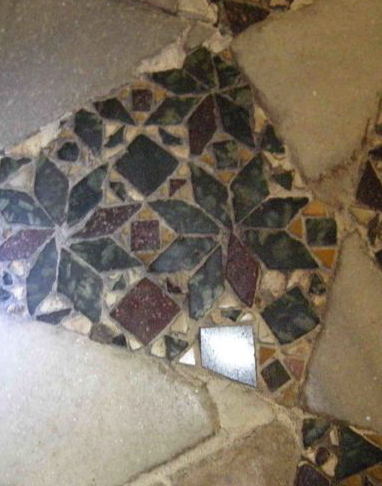 The mosaic floors in the presbytery and lateral naves in Monreale Cathedral underwent conservative restorations between 2007 and 2009. 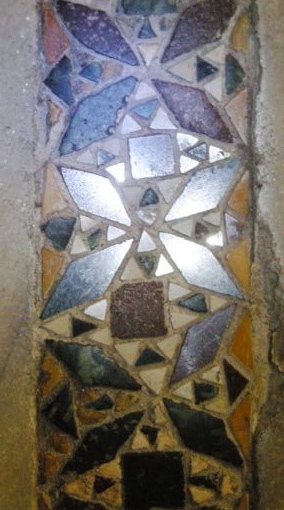 The degradation of the medieval mosaics (that had already been restored in the 16th century) caused by the excessive presence of the public, was also perhaps increased due to the habit of some tourists to purloin the uneven tesserae close to the William I’s sarcophagus (La Sicilia, Wednesday 8th August 2007 by Maria Modica). 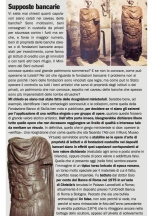 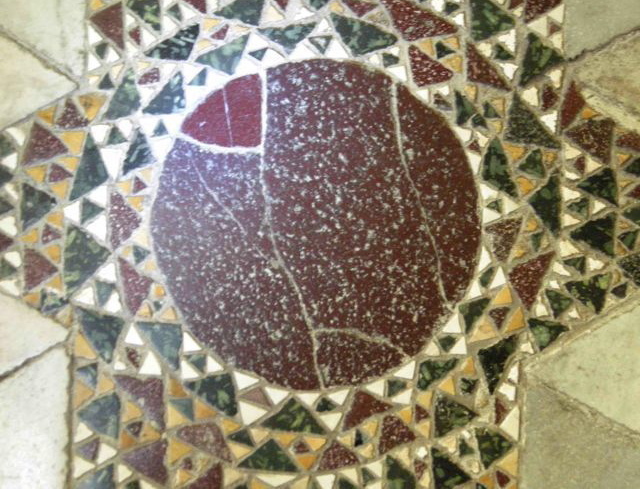 The mistake was to use the wrong marbles for the integrations and furthermore the method of polishing these ugly modern marbles was also incorrect, which were inserted amidst the beautiful tesserae of classical antique marble, reused here in the Middle Ages. 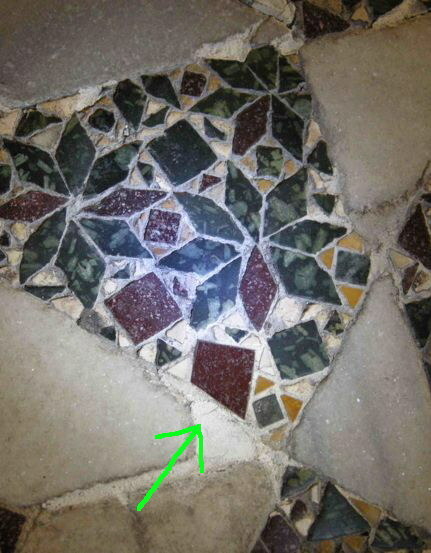 To integrate the missing Imperial Red Porphyry, a modest, modern Rosso Laguna (also known as Asia Red) was used; the Green Serpentine Porphyry was integrated and replaced by an ugly Verde Guatemala (or possibly Verdi Alpi?) 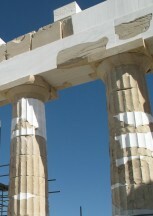 and the modern yellow and white marbles that replace the ancient Numidian Yellow and Palombino White marbles, are also inadequate. 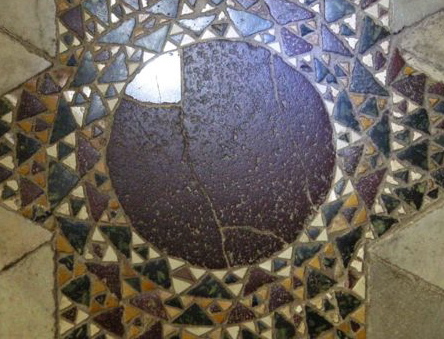 In the photos below (these are just some examples of the whole intervention), one can see not only the incongruence of the materials used that are very different geologically-speaking and the incorrect polishing method (the tesserae have become mirror-like), but also the absurd geometric shape given to some of these tesserae (see figs. 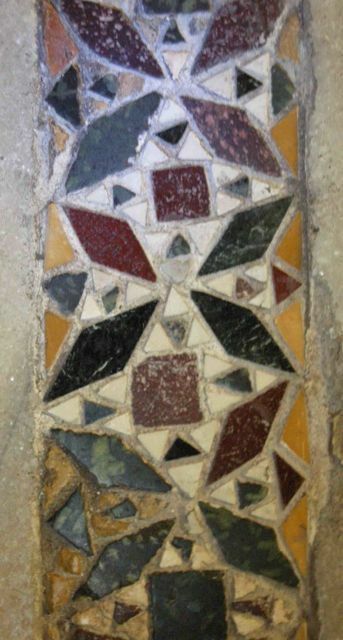 3-4).